It’s official; last month saw the first KAABOO Cayman debut on the world-famous Seven Mile Beach in Grand Cayman and made island history. The sold-out event brought together fans from around the world while hosting one of the largest festivals of its kind to ever hit the Caribbean. 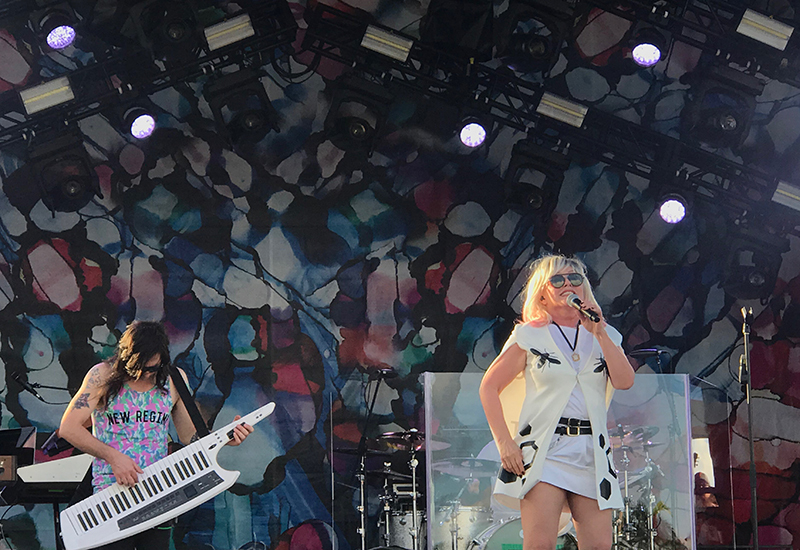 Not only did KAABOO Cayman deliver an incredible line-up of chart toppers such as Blondie, The Chainsmokers, Duran Duran, Bryan Adams, ZEDD, and Jason Derulo, but the two-day lifestyle event offered visitors live contemporary art installations, culinary demonstrations, comedy, and health + spa treatments. She added about her stay on Grand Cayman: “I loved the access to gorgeous beaches and the ocean in the Cayman Islands, from walking along the endless golden sand of Seven Mile beach, to swimming with stingrays, to watching the sun go down from a sailing catamaran. I dined in fabulous sea view restaurants but also picked up fresh juices from roadside stalls and ate fresh fish in more local places.